You would love to go to a festival but it turns out to be sold out. What are you doing? Buy a ticket at the second-hand ticket market. You would love to go to a festival but it turns out to be sold out. What are you doing? Buy a ticket at the second-hand ticket market. For example via social media, Marktplaats or Ticketswap. Unfortunately, it often happens that 'someone who does not go to the festival anymore' is a scammer and you sell a fake ticket or no ticket at all. 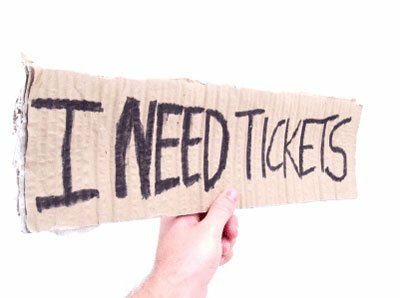 Avoid buying tickets without personally retrieving them. Often the purchase via Marktplaats can not be controlled in any way, not even if the sales can refute a so-called copy of identity. The tickets for the top events are usually sold out quickly so that there is a large demand and the offer is small. Of course you are free to purchase the tickets through the event organization and its own distribution channels. However, here the reservation sites are generally overloaded and it is difficult to get through cards. You also have to take account of long queues at the start of ticket sales at the sales agencies in the big cities. Many people visit these pre-sales offices in vain. 4Alltickets offers you the possibility to order tickets for these popular top events. The prices are based on supply and demand, making the price sometimes higher than the original price. Often it took us a lot of effort to get to certain concert tickets and we spent a lot of time there. After all, we want to offer you the chance to visit your favorite event. You can easily place your order online or by phone, without having to wait in line for a long time. It is also possible to visit our store at Oostzeedijk 322 in Rotterdam.